Has Zynga given up on FarmVille for iPhone/iPad? 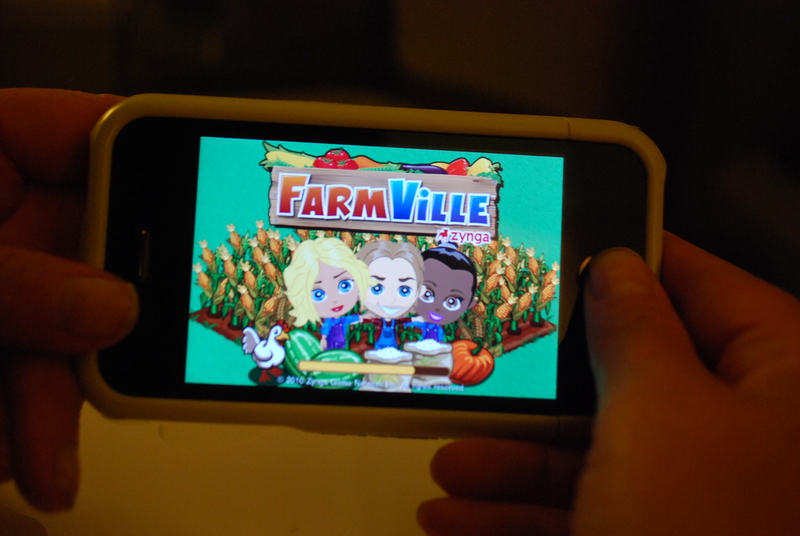 Back in June, Zynga launched FarmVille on iPhone to much fan praise... that is, until they actually played the game. The game was riddled with bugs, lacked in features, and was simply an all-around mess, forcing Zynga to update the game, and then update it again - and guess what - update it again. For all of those updates, however, the game still has many problems, isn't as fully-featured as the online version, and simply won't even run in most cases. Not to call Zynga out on this, but this all got me to thinking. Has Zynga given up on FarmVille for iPhone altogether? The current version available in the App Store is version 1.09, which was released towards the end of October 2010. There are clearly problems with the app that need to be resolved, and yet they have made no attempt to further update the app and fix them. Before this time (October), the app was being updated at least once per month - nine times between its launch at the end of June to its current state on October 21. What gives? This lack of updating leads one to think of four possible reasons as to why. 1) Zynga has decided to pull resources from FarmVille for iPhone and use them to bring other Facebook games to the mobile space. This wouldn't be an entirely terrible move, as I know I would love to play FrontierVille while standing in line at the grocery store, but if FarmVille has as many problems as it does, we only shutter at the thought of how FrontierVille would perform. 2) Zynga has been waiting for more mobile-centric talent before focusing on fixing FarmVille for iOS. This reason makes a lot of logical sense. Zynga has perfected Facebook game design, that much is clear, but now that they have Zynga with Friends (ie: NewToy) in their corner, they have all of the talent they need to release some killer mobile apps. Perhaps now, after releasing Words with Friends on Android, this new true mobile division will go to work on FarmVille. 3) A fan survey concerning "what fans want from mobile FarmVille" might actually be coming true. Back in December, Zynga asked players of FarmVille on iOS to fill out a survey, detailing what they'd like to see from a mobile version of the farming game. We were given three basic choices: have the mobile version be as fully functional as the Facebook version, allowing you to do every action you can online on your phone, have a limited feature version that just allows you to tend your crops, or create an entirely different mobile "expansion" that would be an extension of your original farm, where you could complete quests to gain exclusive items back on Facebook. 4) Zynga has decided to give up on FarmVille iOS altogether. No, this isn't a likely scenario, and we'd be shocked if this was actually the case, but the drought in support seen for FarmVille iOS does leave this as a possible reason. We'll be sure to stay on top of this one, and will let you know as soon as we know about what will happen with FarmVille iOS in the future. So what do you think? Is Zynga working on some fantastic changes for the mobile version of FarmVille? Which would you like to see? A completely functional portable farm on your phone, or the option for exclusive items like explained in the fan survey? Let us know in the comments.